Back in October last year, Motorola shared a list of devices that would be updated to Android 7.0 Nougat. 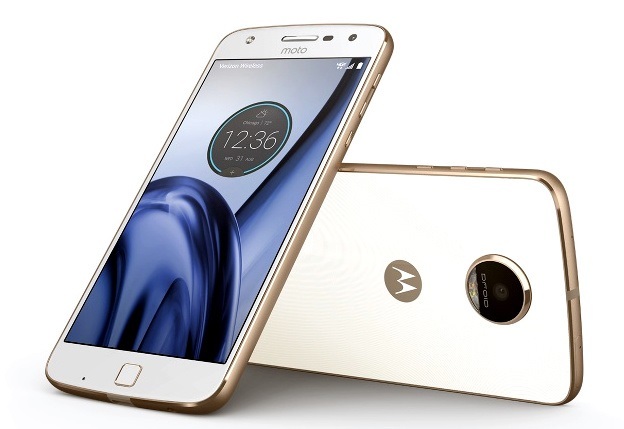 The company has already started rolling out the Nougat update to some of the devices mentioned in the list, however, the Moto Z Play hasn’t received the Nougat goodness in India. 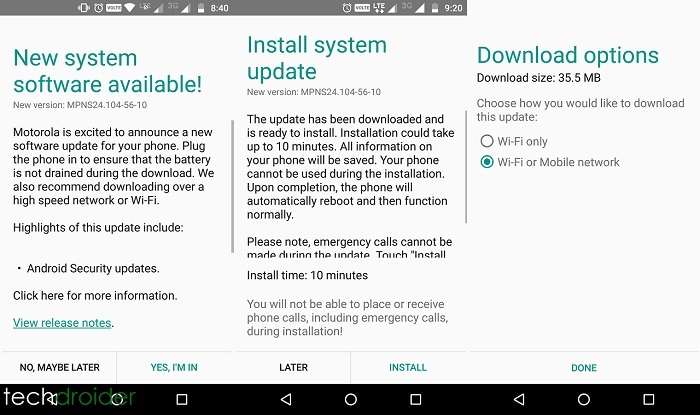 While there’s no information when it will get the Nougat update, Motorola is currently rolling out the December security patch for the device in the country. The December security patch for the Moto Z Play weighs 35.5 MB in size. While that size is smaller as compared to Android version updates, we would still suggest you to download it over a Wi-Fi connection. Motorola has also suggested that the Moto Z Play be plugged in while the update is being downloaded. The company further states that it would take up to 10 minutes to finish installing the security patch on your device, and, making/receiving calls during the installation will not be possible. Well, it’s a bit late for the company to roll out the December security patch when Google has already rolled out January patch last month, but, considering the fact that some manufacturers don’t even bother with this kind of updates, Motorola truly deserves a pat on the back for this. Speaking of January security patch, we reckon it will be included in the Android 7.0 Nougat update which should roll out soon for the device.